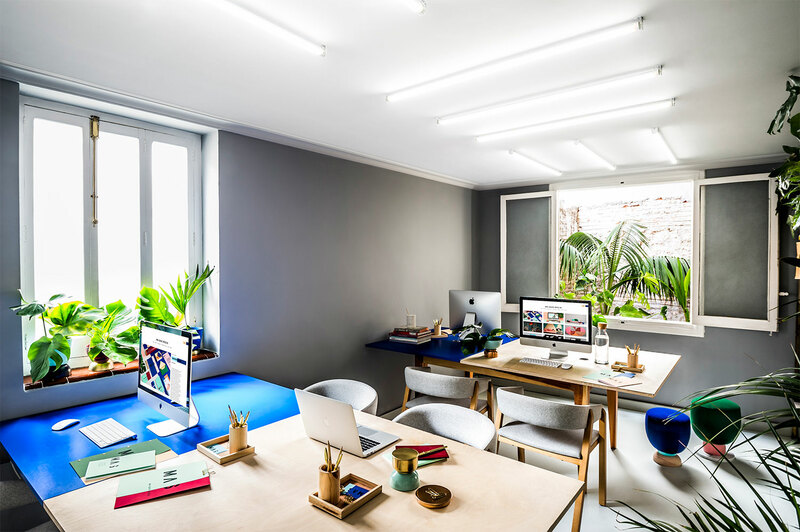 Working from home certainly has its perks (sweatpants, puppy snuggles), but no matter how I try, my home office style will never match the likes of this. 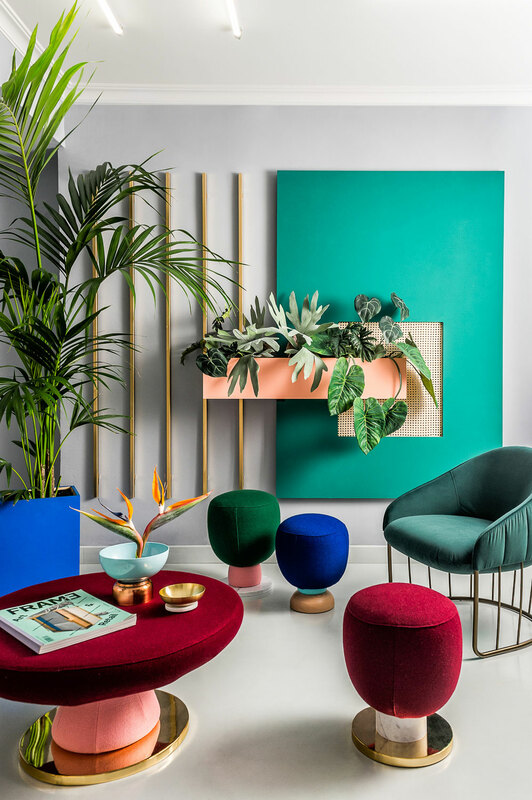 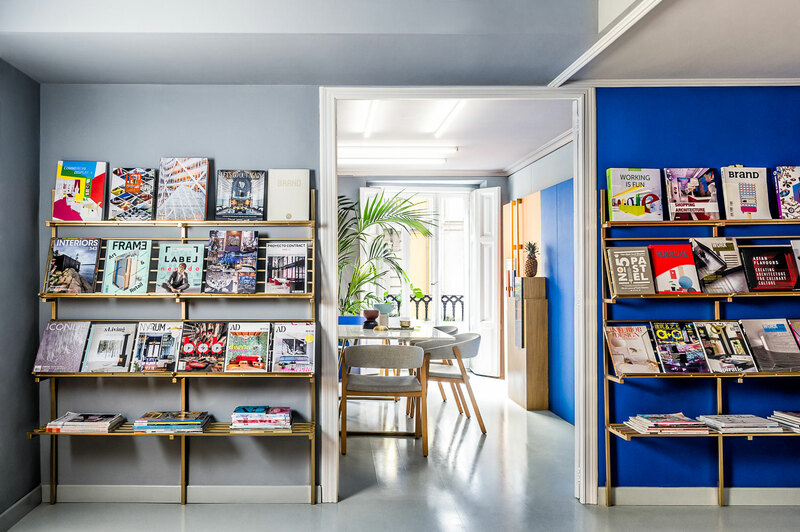 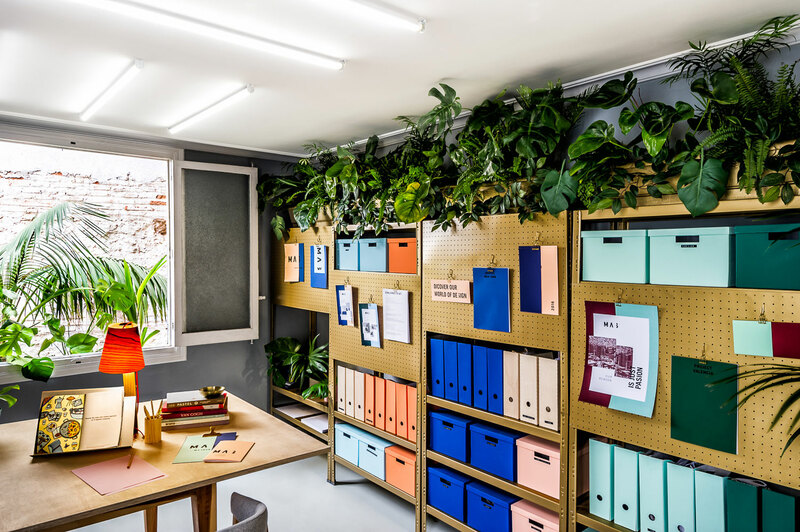 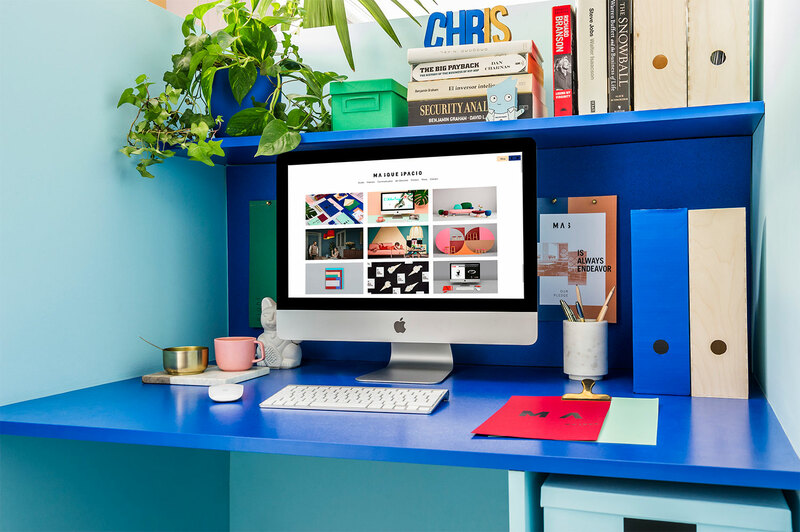 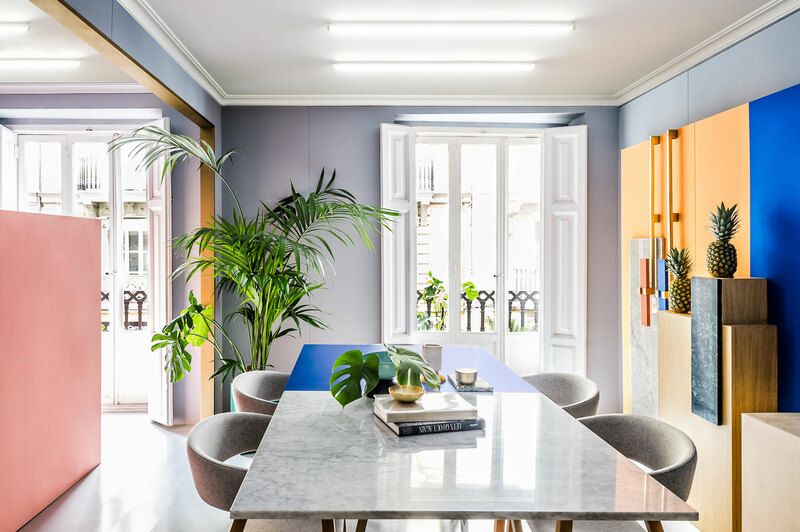 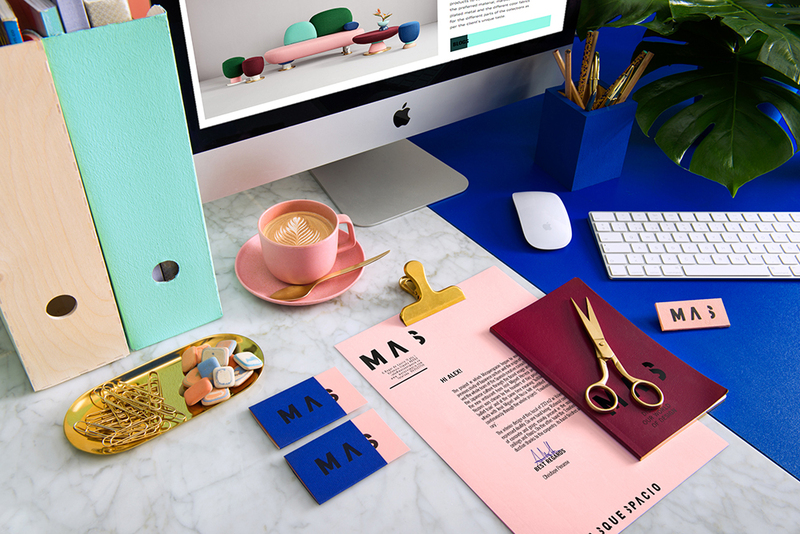 Masquespacio is a multidisciplinary design studio based out of Valencia, Spain, that relied heavily on postmodern and Memphis styles in the recent redesign of its brand image and studio. 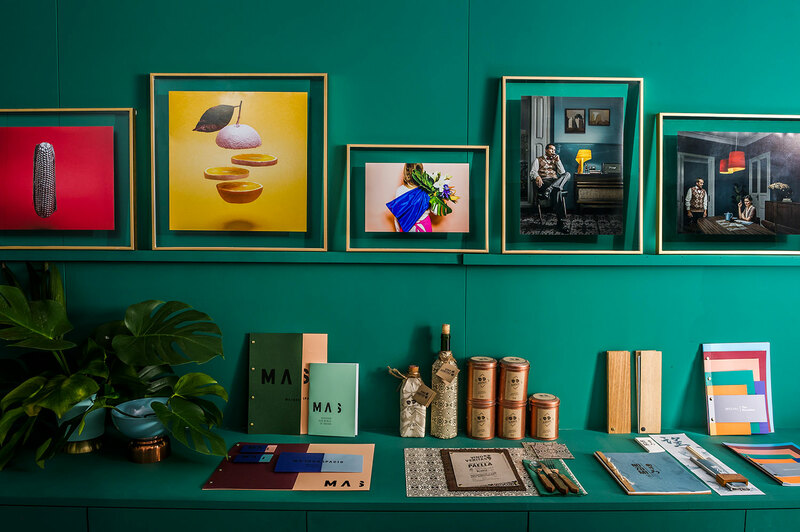 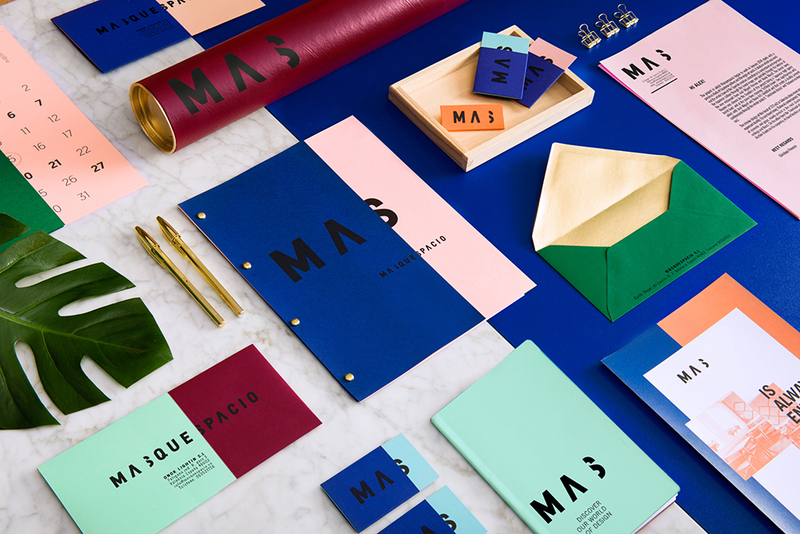 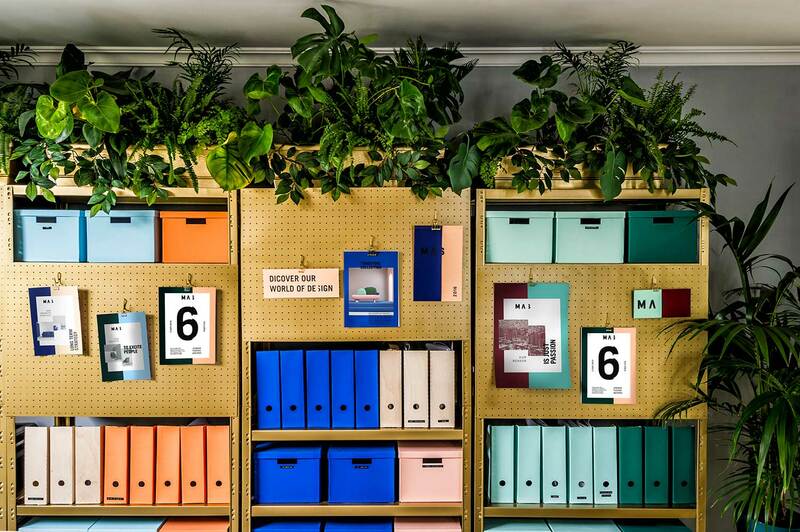 The new brand identity comprises seven on-trend colors, allowing Masquespacio to change its color palette annually and to customize branded stationary for its clients. 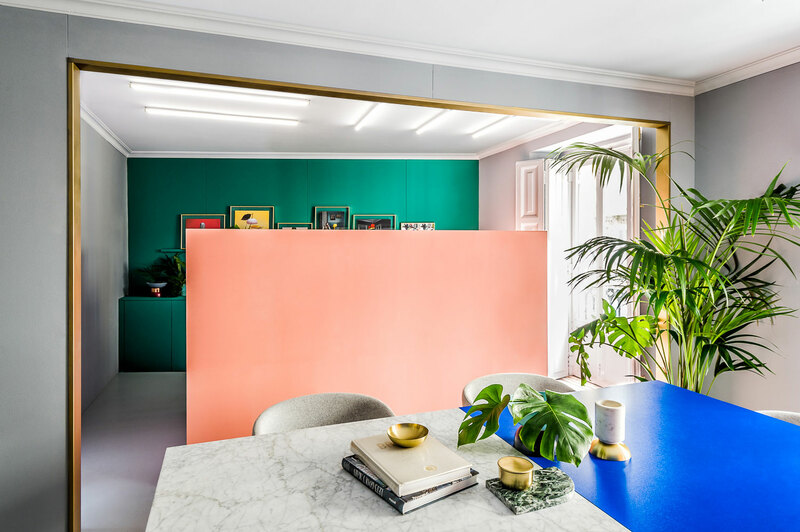 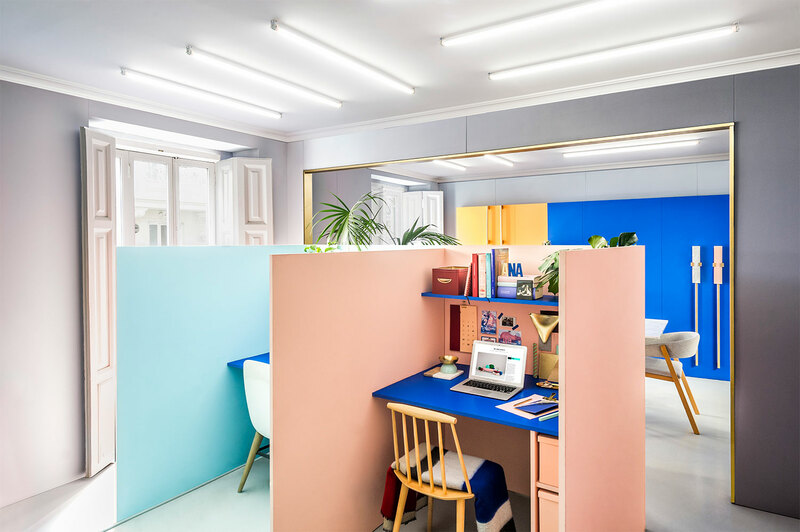 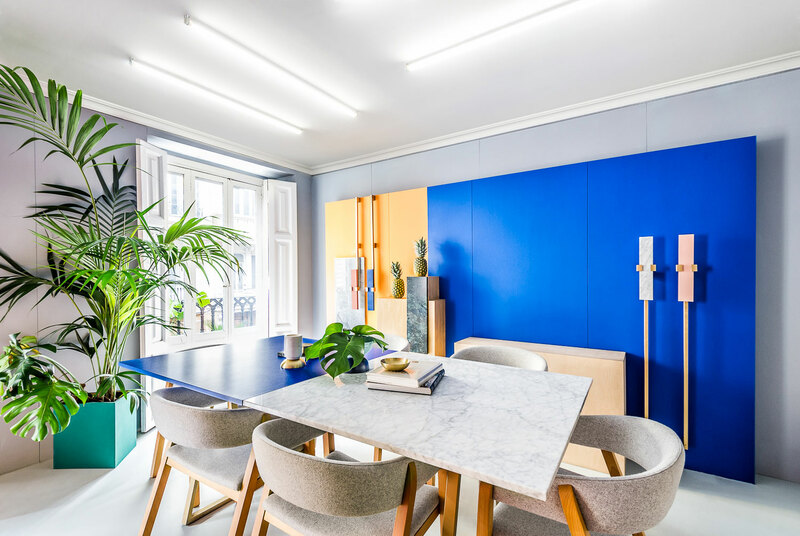 Marble, lacquered MDF, and birch and oak plywood make up the studio's interior spaces, where colorful work cubicles are surrounded by airy meeting rooms. 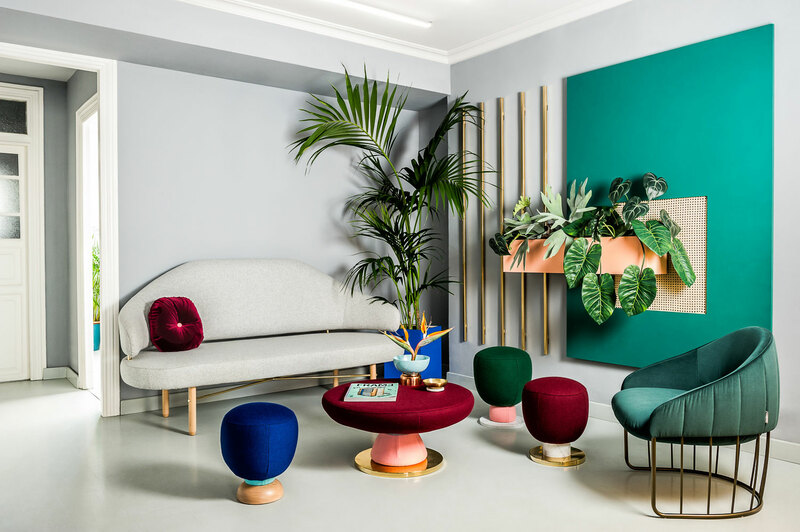 A foliage-filled entryway features chairs, stools and tables from Masquespacio's Toadstool collection, another Memphis throwback that the firm designed for furniture brand Missana. 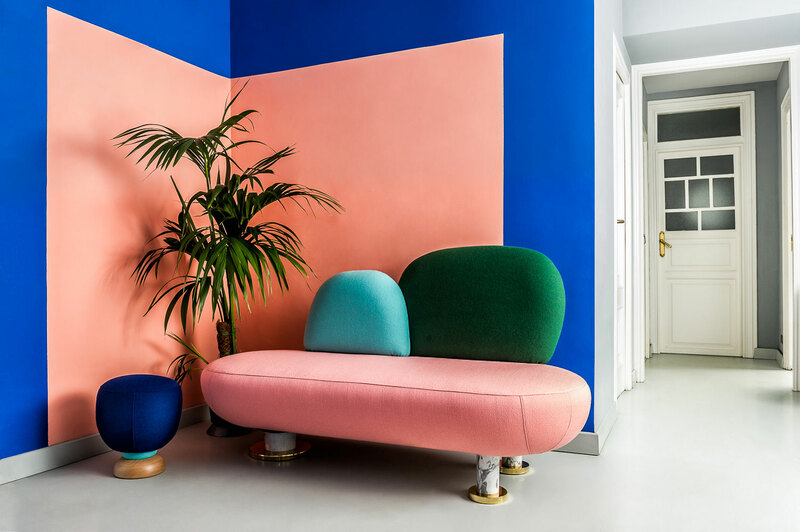 Sweatpants be damned! 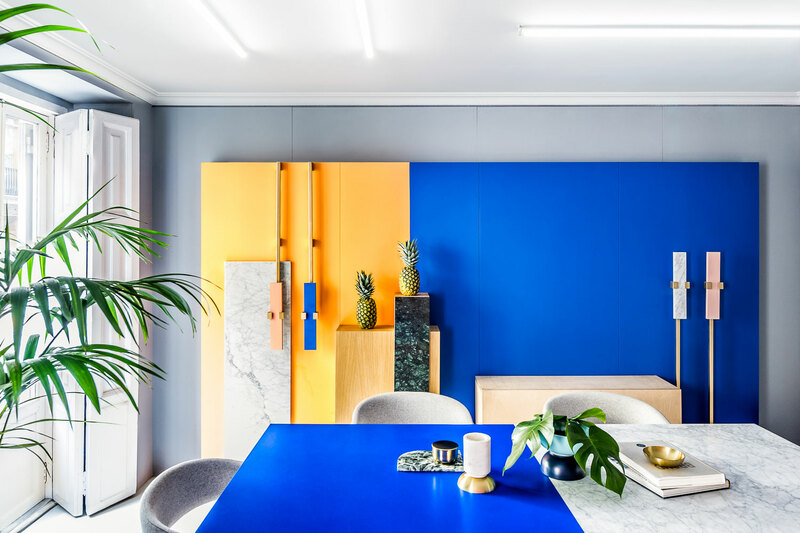 Give me a slab of marble and color coordinated everything!